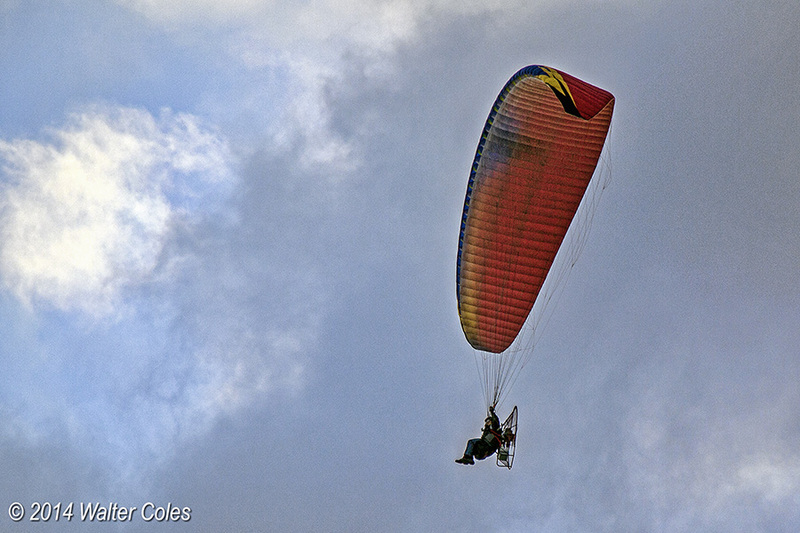 Down at the beach last night I saw this guy flying his powered parachute up and down the coast at about 200 ft. altitude. 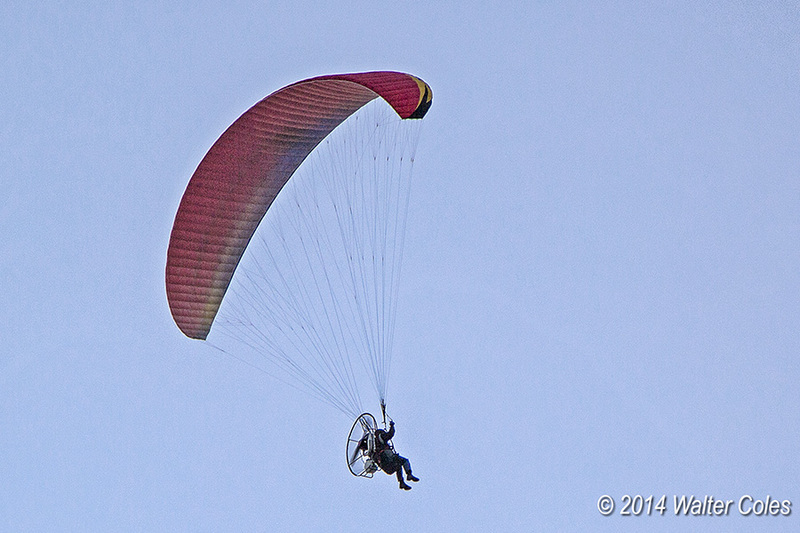 Despite a fairly strong sea breeze he was managing about 6-8 mph. Not as fancy as some that have a frame and landing wheel(s). He was flying for at least 45 minutes. Didn't have a long telephoto lens with me (only the 24-105), so I had to do some fairly extreme cropping here. Looks interesting but there is no way I want to strap a gas tank and over sized food chopping blade to my back. Reminds me of the Riddick Bowe vs Evander Hollyfield fight November 6, 1993. That was a powered hang glider if I remember correctly. That was funny though.